So we're getting into talk and rumours about BF2 now, and 'course correcting' from EA, they're unhappy with the review scores and know what the fans want. Space Battles, SP Campaign, Galactic Conquest, Classes perhaps. We'll probably get them. The only problem, if like me you're a fan of the original Star Wars trilogy, is that the improved version of Battlefront could see clone troopers, battle droids, gymnastic Yodas and new sequel content. That's all great I guess, but the OT specific environment is something I'd desperately love to see developed further. I've mentioned the possibility of BF2 as a full-release, full-price expansion for BF1 in a couple of discussions so I thought I'd give it a thread. Sound off if you want to see new eras bolted on to an already solid engine to avoid losing what could be the definitive Original Trilogy fps if given a little care and extended support alongside BF2. Come on EA old buddy don't let me down. You definitely have my total support. The star wars universe will be best when kept together. Although the prequel will make an excellent game the OT is by far the most iconic and praised era. It must be kept alive. Well, besides your helmetless troopers.. I'd like to see them gone and forgotten. I actually hope they take the base of this game and all of the assets from it and add on to it for the sequel. Not subtract from it. They need to, no must do something. A mixed eras Battlefront is what we need! @SAmulticore Agreed. Plus, I currently don't mind switching between Empire and Rebels, but I was never a big fan of playing the C.I.S. faction in the original games; I would hate to be forced to switch over after each match. Agreed with all. I truly hope the new game is a full-on expansion so that what we are playing and building on is not lost, after investing into it and trusting that they would address the issues it has. I would LOVE this. Now that's creating a Star Wars experience. The original trilogy is and always will be the best and most loved time period in the Star Wars universe. It's why we, myself included, come on this forum to rant and complain about the game we wish we had. We are so enthralled with it. It's so entrenched in who we are. We realize the great potential in this game and as such, we are all very passionate about it. To me, it would be a great disservice and a slap in the face to everyone who bought this game if everything we wanted for this game is included in a BF2 release based on the new - yet to be released, mind you - trilogy. Nobody wants the OT to be left in the dust. It needs to live forever just like the movies. Tidy up Battlefront 1 and they'll have a customer for life. If they don't, I truly believe they will risk alienating a large population of potential customers for any future releases. I'm not against a mixed mode within that framework, I just desperately want to see the original trilogy live on as more than just the beta test before we get a good game but with all the OT content I grew up with stripped out for Yaddles and Jangos. Although that would be nice that's not the issue the OP is trying to address. They must not abandon this game. The OT needs to be included it the next one or two battlefront games. Or the next one or two added onto this one. The game engine we have is solid, the graphics and sound design are ahead of their time, there's no pressing need to rework all that. But adding an extensive set of assets to this Battlefront as a full price expansion launch, a whole set of maps, modes, weapons, ships and characters in a separate era rotation, whilst continuing to develop and support BF1 content would give us the OT experience we'd hoped for all along. A new BF2 purchase could come bundled with free BF1. I'd play the prequel/sequel content if it was an integrated part of this game, but as a standalone product, you'll find me ignoring it while I search fruitlessly for HvV games in the era I love. I just don't want Darth Maul or Kylo Ren enough to open my wallet for a game that abandons the potential of the OT and BF1. This game could be great, could have longevity. Don't blow the OT lore before moving on, bring it with you. Fully agree @SAmulticore. 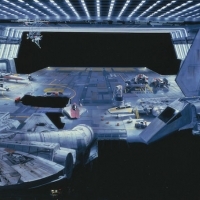 I much prefer the OT and it has so much potential for further development and expansion. I don't mind the idea of clone wars era and or Force Awakens but for me Rebel Alliance vs Galactic Empire is what it's all about. I personally feel that with some reworking and the addition of a number of key player requests that EA's BF could be in for the long haul. I'm just not convinced that the decision makers are on the same page yet. As for BF2, like you I'd much rather see an expansion than a brand new £50 game. I don't mind a prequel trilogy which has most of the same charcters anyway but the ot is why I play. If they did strictly a BF based of TFA I probably wouldn't buy it, could care less. It's going to contain elements of 7 and 8. We don't know the extent of those elements. We also don't know if it will include OT or Prequel content, either. It's far too early to make sweeping comments like that. EA don't care they never have and never will, they even admitted to rushing this game for profit. Personally I don't want to play Rey in HvV if it means we never play Ben in Mos Eisley in an OT only environment. I want to play Poe in a space battle sure, but not if it means we never see X-Wing vs Tie Fighter space battles in an OT only environment. We already have the OT environment, it's BF1. BF2 should be a full featured expansion, giving BF1 room to become what it should have been, supported and developed alongside the new era content as one game. it won't contain elements since Episode 8 is being released Dec. 15th next year. The exact quote is, "Next year we will see Star Wars Battlefront back with bigger and better worlds because we now have the new movies to work off of, not just the historical movies from before." I think they only thing that can be gleaned from this quote is that the new movies will be featured in some capacity, it in no way rules out OT or prequel content. Disney calls the shots not EA. That still doesn't change the fact that we don't know exactly what the next Battlefront will include. EA can make more money this way though by charging 60 and than 50 again or if your Canadian such as myself 80 and 80. I've suggested all along that the expansion is a full price, full featured release, no doubt with dlc and a season pass. BF2 would release on the shelves of stores and as a digital download with a big promotional push just the same as this one did. But it comes with BF1 bundled, that acts as the bones of the product. It's a full expansion. New players get two games worth of content, we all get a BF2 that's integrated into what we already have and a whole new games worth of modes, maps, heroes, weapons and ships to explore. The rebooted Battlefront becomes a deeper, more long term investment for the player rather than a conveyor belt of unfinished releases, quickly abandoned for the next. 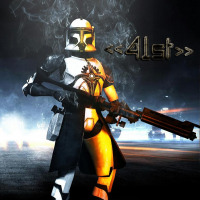 Think about it... Battlefront EA 2 was in development two weeks after this game was released. That doesn't rule out the OP's hope for a full-on BF2 expansion of BF1 or rule out the idea suggested by others for a mixed era Battlefront. 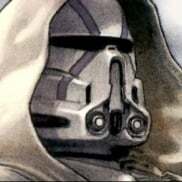 It's quite possible we could see OT content Battlefront being supported into the future. We just don't know as of yet. Makes sense and is a good idea. However, precedent dictates that well thought-out and logical decisions that actually benefit the consumer are not EA's MO. This. The content that is great in this game deserves to be in a really great game. As an option that'd be fun, but I don't think I'm alone in not wanting to buy a game where if I play Luke it has to be against Count Dooku and trade federations. I know plenty of people like the prequel content, and I personally really enjoyed TFA and the last five minutes of Episode III, I honestly don't want to get into who's right about which movies. But the OT experience we have here should be built upon, not jettisoned. Having space battles, classes, more worlds, all that good stuff announced exclusively for the sequel but 'by the way it's full of droid armies and Hayden Christensen hating sand so we're pulling support for BF1 and when you eventually get Mos Eisley it'll have Gungans and Droidekas in it' would be a tremendous, massive kick in the teeth to OT fans. I agree, can't see much of a HvV game with TFA content. There's just no one I really care about in this other than the original charcters. It could still be a good game I just won't buy it. I had this reaction when reading about SWBF2 as well. This game is barely out and they're already talking about the next one while this is plagued with problems. The proper response would've been "we're disappointed with this one and it would be premature to talk about the next until we attend to it." For crap's sake they better not abandon the OT. If anything a sequel should function like a massive expansion, making its improvements available to this one retroactively to create a kind of 2 game bridge. Indeed first fix this game and eventually make more content for it. seems like a waste to me to have EABF2 just feature content from new movies. Why can't we have OT AND the new stuff? This is what bothers me about EA. I want to be able to play Rey, Ren AND Vader in the next game. Exactly what I'm suggesting, I think we're probably saying the same thing. 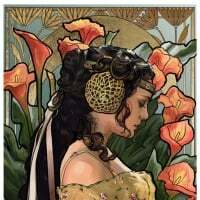 The PT and New Republic/First Order have some great assets to bring in, I just hope they aren't introduced at the expense of what we already have. Let's say we're offered three BF games, if the one title that completely dropped the ball and was left incomplete was the OT release it'd be an absolute tragedy. Never buy an online focused game again. This generation of PvP is garbage. Nah, the OT has already gotten a full game of content. And ST hasn't released it's 3 movies yet. PT should be the next game. Fresh, new, better. I would love to play a Battlefront based on OT and PT, but more on PT. Unfortunatley the next Battlefront will base on PT or ST only. I understand why some people "hate" the PT movies. In my opinion the CW era provides awesome content for a Battlefront PT based game. But if they keep the OT stuff for any reasons, some Rogue One or Rebels series content would be nice. At the moment there is so much missing from the 4-6. Battlefront two had pt and ot, why cant this game? When they split the games, they could earn more money with less investing. Agreed. We need Multiple Eras in Battlefront. I am not buying another game with only one Era and don't give me that crap about "it's too much content" to put in a game. Well they'll probably pull a similar move to Jakku and have a map and mode that tie in with the movie. This is what they should have been planning all along. I've posted the same thing several times in the last six months. They know what they're doing. Making an extra $60 per person, instead of just the money for a DLC. So 99% of the game would be based on TFA alone. That would be horrible, in my opinion. Yeah it would. But considering that we got only 4 planets at launch, and Force Awakens had about four planets... (Not counting Hosnian Prime.) It's plausible. Clone Wars, Original Trilogy and New Trilogy? Now there's the ultimate mixed era. Of course memory might be a issue, I wonder if they could use compressed files? Not that I would know how they'll do it, I'm not a tech guy. My big worry is if they do gives us any Clone Wars that it would be only bare bones, like a few maps and some skins and such, that would be just scant. But that said, absolutely...I to want the original trilogy to be in the sequel. They should just copy and paste so to speak, plus all the new eras as well. Totally agree. They could have seperate tabs for each of the eras, instead of one for each DLC. Would have been brilliant. Yes, yes exactly, not a forced into all eras deal. We choose which era we want to be in; brilliant. I understand that you're looking forward to PT content, but to say the OT has "already gotten a full game of content" is stretching the truth a little. What's wrong with integrating and having the best of both worlds, like an Era selection as suggested? There is soooo much more they could do with the OT that I'll bet you would love to play if they took the time. They won't, but wouldn't you love an extraction taking Han Solo through Bespin? Wouldn't you love to be in the middle of the ewok/imps/rebels battle on Endor? Wouldn't you love to be there when Jabba's palace was raided, with all the creatures and characters running around? Wouldn't you love to be on a small survey imperial team heading into Hoth the first time to raid the rebel base? What about space battles? (4.) Detailed campaign going into way more detail then the classic trilogy ever did. This company could even use the famous Star Wars radio CDs that has the actual full cast. It has extensive not used content from the movies and it's all canon. Think of it, the real actors saying there lines. If the producers would only buy the rights to use it. Plus they could tell side stories about characters, they could...well you get the idea. 100%. In my opinion what they've given us is about 1/10th of 1% of all the great fun webcould have with this game. Minimalist at most.